She can carry her love everywhere she goes when she uses this personalized tote bag! 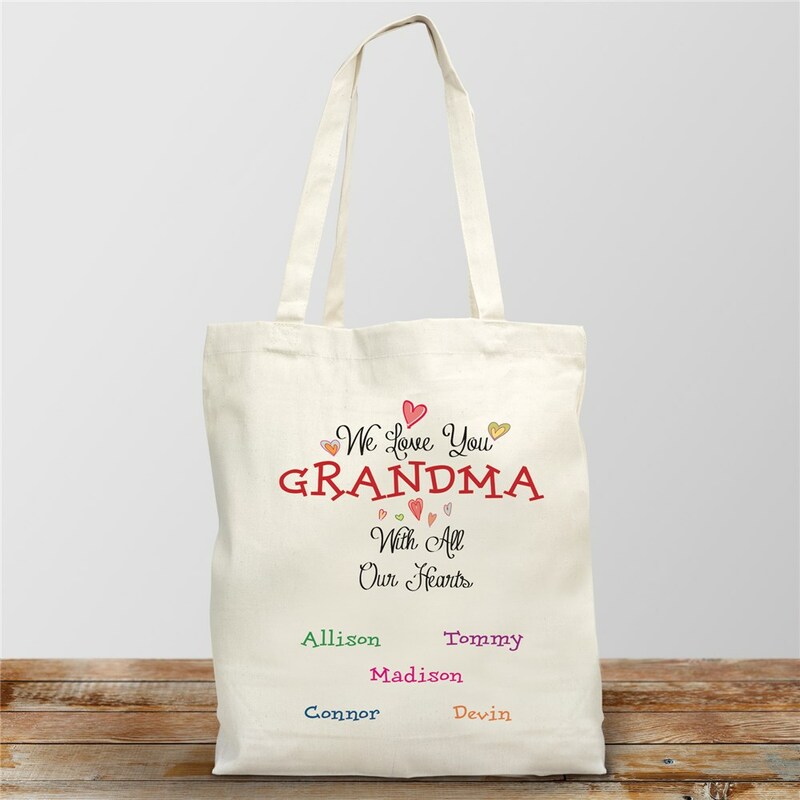 The pretty design on these Personalized Gifts For Grandma may be personalized with any title so it's suitable for any special lady in your life. It may also feature up to 30 names of her children or grandchildren.